The last month has been challenging. We had faced a number of set backs with our current design. 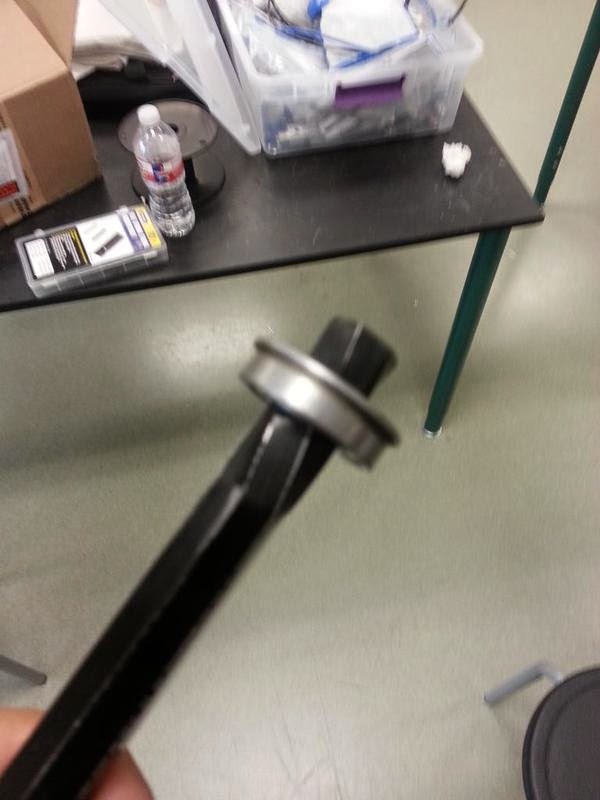 We started with a twisted and sheared hex shaft during our Week 0 Practice. We looked at going to a chain design but that didn't work well. 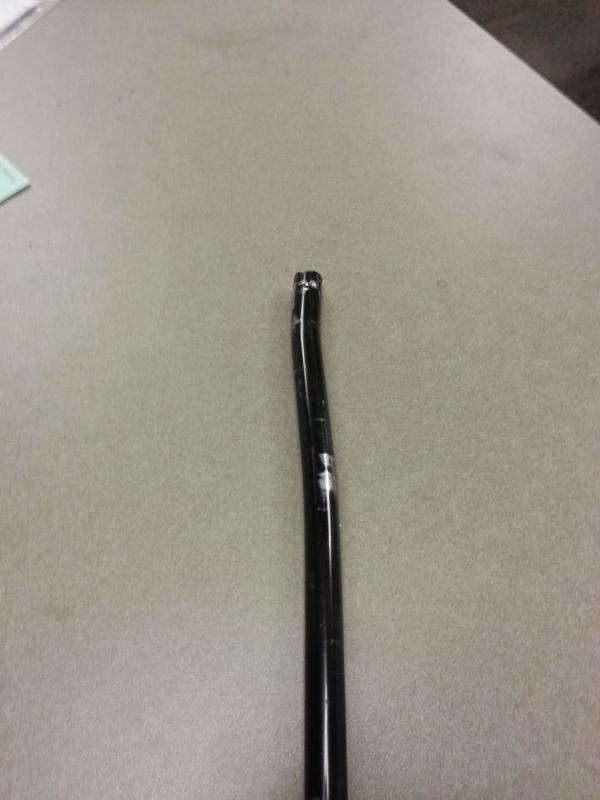 We replaced that with a steel shaft and that fixed most of that specific problems. 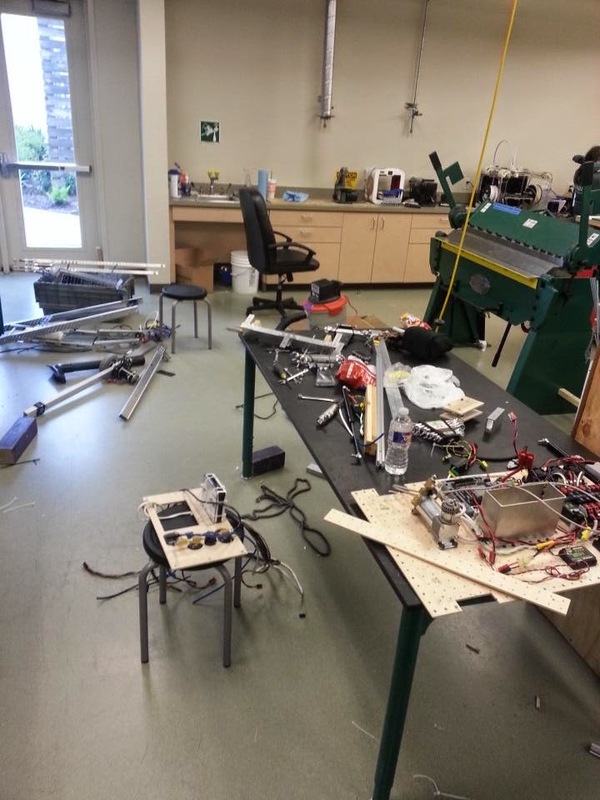 Yesterday was the final straw we complete broke both of the Versaplanetary CIM output shafts on our arm gearbox. This was after we broke two Talon SRXs not 30 mins earlier. After watching some of the week 1 event we decided are strategy wouldn't pay off even if we could keep find bandaids to fix the issues we were having. 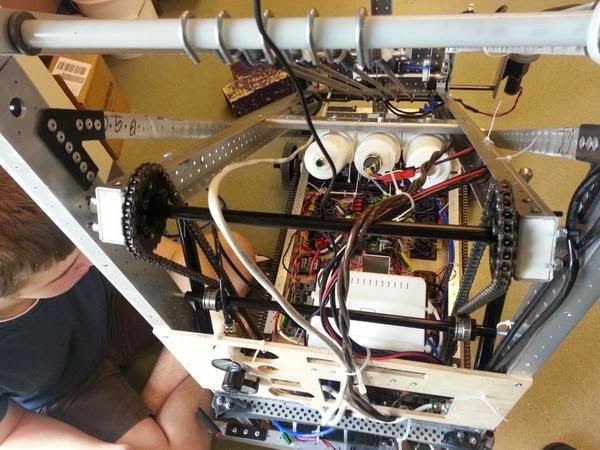 So we decided to completely rebuild our robot and have a plan to that at our first competition. 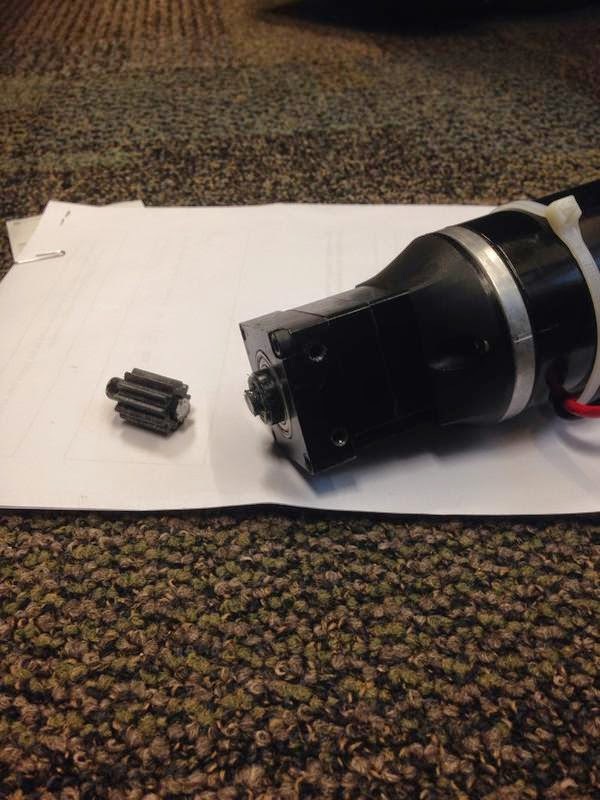 While taking apart the practice bot today we found out why are arm had been showing a lot of tilt. The lower arm bar is completely bent. Here is a quick sketch of what we are planning to move too or at least the initial stage of the move. We wanted something that we could keep improving through out the year. - Iterate throughout the season. Current state of the practice bot.